Last week I attended a Valentine’s Day-themed screening of The Dark Side of Chocolate, a documentary on human trafficking in the cocoa industry. I highly recommend you see it if you don’t believe chocolate is made by children, often against their will. At the same time, if you are prone to motion sickness as I am, you should also consider just taking my word for it, since the film has a lot of poorly edited, undercover footage that will make you sick from the camera’s shakes. The screening was part of the many efforts to encourage The Hershey Company to raise the bar by becoming a leading corporate voice in the movement against slave-made chocolate. So far, the otherwise socially conscious and community-minded company has done nothing to hinder the use of forced labor in their production process. Because the company is so large, and so well-known, they have the opportunity to be in the forefront of the abolition movement in West Africa. 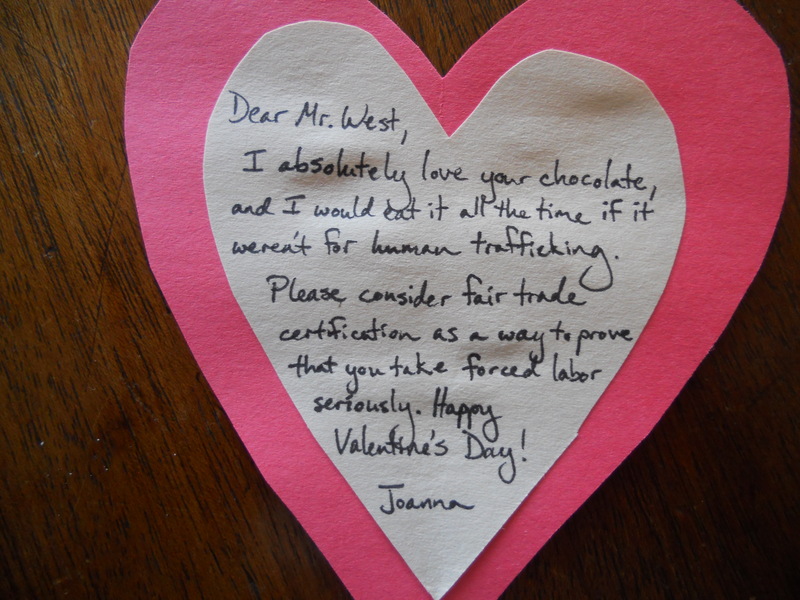 To encourage them in this matter, my husband and I joined thousands of other folks in sending valentines to Mr. David West, CEO of Hershey’s. They should be arriving today. 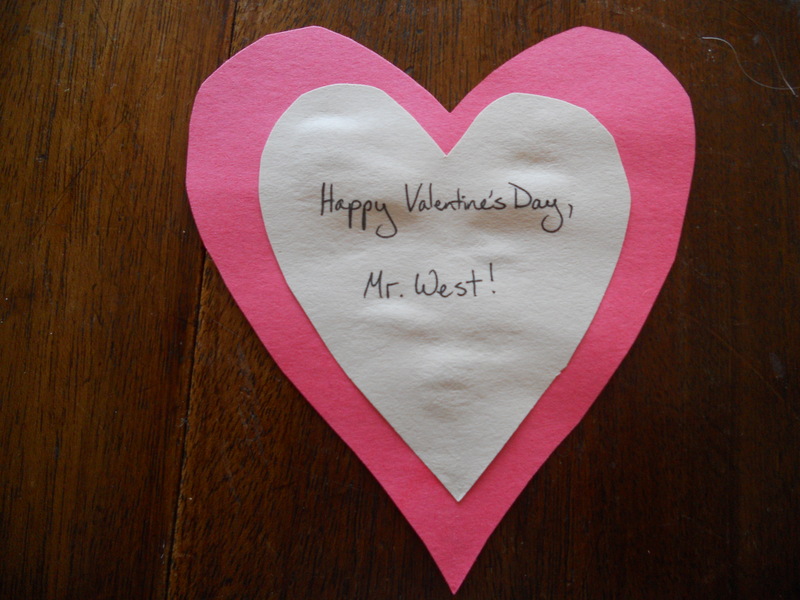 So Happy Valentine’s Day, Mr. West! And for the rest of you, a Valentine’s gift: a report on the Hershey supply chain. I think this was a great idea – actually sending a Valentine to the CEO of Hershey’s. To bad it is too late to send an Easter bunny card.